The lift desk is a one of a kind electric standing executive desk. When tired of sitting after hours at your desk, hit either of the 2 memory settings or the up button to reposition your work space. 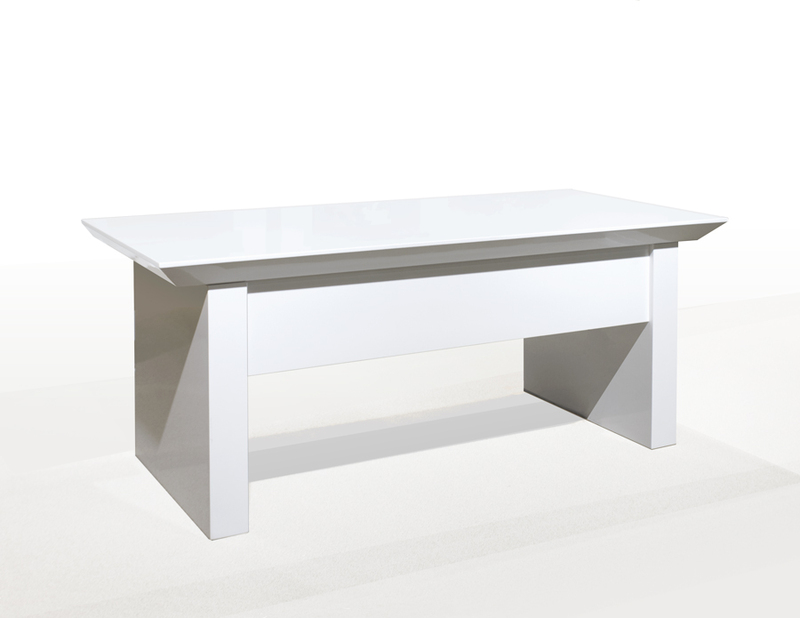 The large beveled top rests on a simple base that’s perfect for the center of an office. The lifting mechanism can be lifted to higher than 48”. 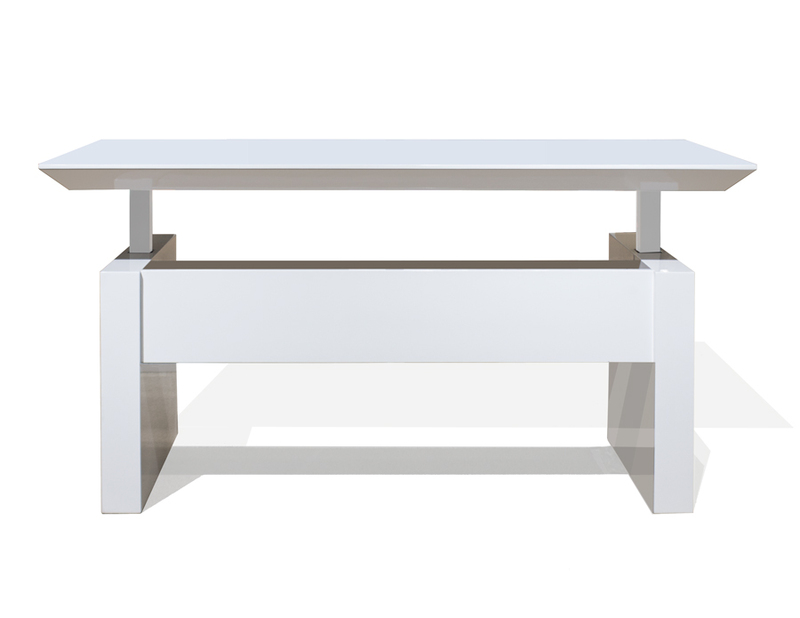 Available in white lacquer or gray oak veneer with clear lacquer, this desk will be a unique addition to optimize every work day. The metal lifting mechanism can be ordered in white. Please login to view availability, pricing and access the online order forms. If you are an existing customer and do not have an account, please click on Dealer Login button at the top right corner to create one. If you are not a dealer, please contact us to find a store near you. A quantity of 1 or more is required to add an item to your order. You must be logged in as a dealer in order to access this page. Copyright © 2002- Sharelle Furnishings, Inc.